Jesse self-managed a stock portfolio and took it from $45,721 to $6,845,342. During the 28 months period he was trading the S&P 500 returned 25%. Like many traders, he experienced significant draw downs early in his trading career. However, has since recovered nicely from them. He did not work on Wall Street and is no quantitative financial markets wiz. Unlike most stock trading books, Jesse takes a couple chapters to educate us about the importance of personal development. For example, he talks about always learning, living outside of your comfort zone, being more disciplined, improving your thinking, and acting in every moment. Time is infinite and it will be gone before you know it. Because of that, he now almost always tries to take the road less traveled. With anything you hope to achieve, not just in trading, having a solid foundation is crucial. Jesse then goes into talking about how mass media is a complete waste of time. There is a lot of noise out there about which stocks and where the market is going to go. The bottom line is everyone has their own opinions and nobody can predict the market with 100% certainty all the time. He argues that learning from a mentor or community of successful traders is much more important than following the latest stock tip. One of the least emphasized things about trading is having a trading plan. This means that you know when you are exiting a position before you enter it and have different action plans depending on what happens. Finally, Jesse reveals his trading plan. Essentially he is looking for inexpensive stocks that have blockbuster sustainable earnings releases and high weekly volume. Then loading up on the stock when the risk is at its lowest relative to the reward. He goes through several exit strategies which includes whenever there is a parabolic surge. This means it shoots off far away from a moving day average like the 20 or 50 day. 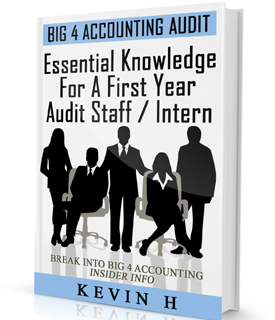 I vividly remember the day in 2006 when I first walked into the new accountant's office in Palm Beach, Florida. After a few minutes of small talk, he informed me that due to the demand for his services by high net worth individuals, it would probably make more sense for me to seek the assistance of an inexpensive national firm like H&R Block. After listening to his introduction, I handed him my statements from the past few years. I will never forget his reaction when he thumbed through a few pages. He looked up and yelled "Are you kidding me?!" He immediately stood up and walked over to his office door and shut it for privacy. He enthusiastically exclaimed "I have never seen or heard of anything like this." Needless to say, he took me on as a client. What is the not so great about it? The core principles to being a successful trader are widely discussed by many people. Most of us know that we should cut our loss and let our gains run. As an experienced trader, one of over 9 years, I didn't find anything that was ridiculously profound that I didn't already know. However, he does go into his trading plan pretty comprehensively. There were some good strategies that I plan to implement in my trading plan. But overall, in order to replicate his results, you would need to be in a bullish market, patience, self-discipline, and some luck would help. Jesse is truly an entrepreneur at heart. He is always looking to become better, learning from his mistakes, and taking risks outside of his comfort zone. His story definitely inspires you to work hard and smart in trading, but don't be surprised if he doesn't hand you success on a silver platter. You still need to do your own homework. His book only outlines parts of being a successful trader. In order to fill in the gaps, I'd recommend adding The Daily Trading Coach for trading psychology and Trade Your Way to Financial Freedom. For the novice trader, taking pieces of Jesse's trading strategy and mixing it with your own can prove to be very effective. He also goes into the importance personal development, which is also neglected by the average trader. If you are struggling to get over the hump and feel like you are in a rut, concepts in this book may help push you over the top. 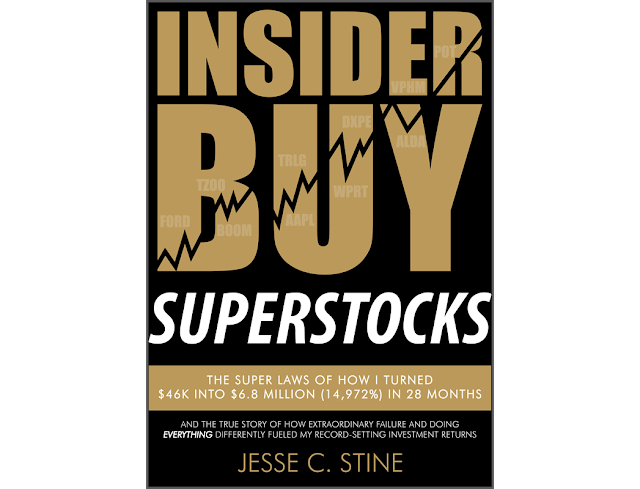 It is definitely a must read for the novice and intermediate stock trader. For the professional trader, many of the concepts will be review. However, you may be surprised to find that a couple new concepts that you've left our of your trading plan or just were not aware of previous. It is always good to refresh your mind and reinforce the core concepts in stock trading. If anything, the story itself is awe-inspiring. Here are a few more quotes if you are still not convinced. Yes, learn as much as you possibly can from others who are successful, but still understand that in the end your priority is to develop your own strategy toward the markets and that path will be unique and unlike any other. Most “breakout investors” would never consider buying a stock before it breaks out, but I find that a strong base limits downside to such an extent that risk/reward can be highly skewed in your favor. Remember that you are George Clooney, so the stock WILL come to you. It will eventually trade down to your desired price. I have been an advocate of the Kelly Criterion in terms of determining my own position size. Developed in the 1950’s, the Kelly formula determines your position size in proportion to the extent of your edge. Take 2 scenarios. In scenario 1, you are 70% sure that your stock will go up 20%. In scenario 2, you are 95% sure that your stock will go up 130%. The risk/reward ratio of scenario 2 would justify a larger position size. If you are 97% sure that your stock will increase 500%, your position size would be larger still. Buy your stock when everything lines up in your favor. Do ALL of your worrying BEFORE you make the buy decision and then let the stock do its thing. Don’t even think about selling it until it triggers a sell signal.